The reef gets it name from the Mediterranean moray, also called moray Helena. This is a rare moray to see as it normally spends it’s time in deeper water. We are lucky to see it once in a while on this reef. Another rare fish we encounter over here is the giant puffer fish. But remember, this cutey is shy, so you need to look for it! 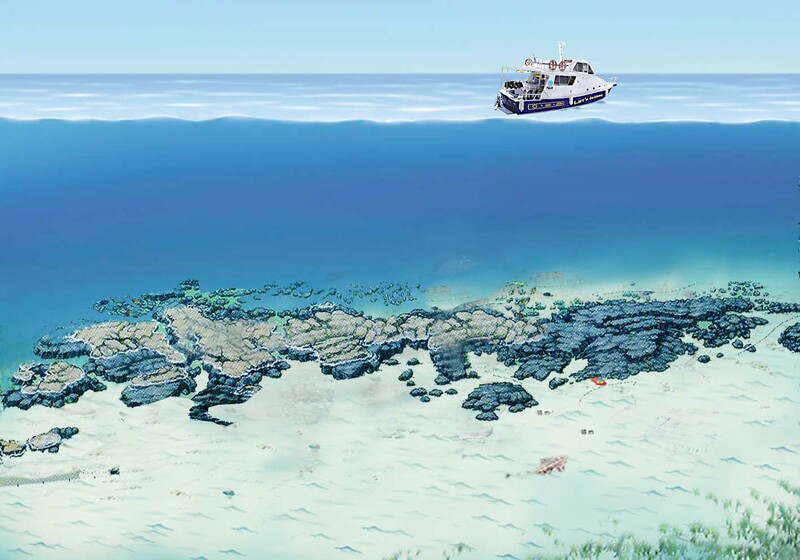 The reef itself resembles arguineguin reef. It boasts a lot of life and has a huge shoal of roncadores. It has some nice overhangs where we can find rays, morays and some octopus.